Farmland Harvest is a resource management farming game that doesn't have the usual laid back nature the genre usually has. The inventory, which is an important part of resource management games is also omitted. 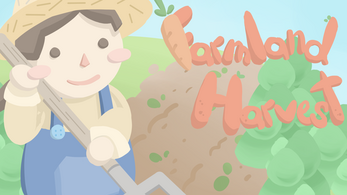 Play as Suzie the farmer as she rushes to clear her land, plant carrots and pumpkins, and rolls them all the way to the store to cash out. Be sure to be speedy, as the rent of the land increases by the day!